Kristen, our Community Manager, is a seasoned professional in the apartment industry with over 16 years of experience prior to joining the HHHunt Family in 2014. Originally from Rocky Mount, NC Kristen enjoys sports and is a Carolina Panther and Duke fanatic. When she’s not working, she enjoys relaxing with yoga and morning runs. Jennifer, our Assistant Community Manager, joined the Abberly Woods team in 2008 after working in Real Estate for several years. In her spare time, Jennifer enjoys cooking, gardening and kayaking with her husband. Chase has been a part of the HHHunt family since October 2007 and is our Service Manager at Abberly Woods. Originally from Washington D.C., Chase has over 25 years of experience in the apartment industry. When he isn’t working, Chase enjoys riding motorcycles, fishing, hunting and spending time with family. Maureen found her home with Abberly Woods in 2010 and loves her position as Administrative Assistant. Spending most of her youth in California, she has enjoyed living on the East Coast for the last 34 years. In her spare time, she loves to work in the garden and travel with friends and family. Shaquana, better known to her Abberly Woods family simply as ‘Q’, joined HHHunt in 2014. She is originally from Far Rockaway, NY, but Charlotte, NC is now her home. She loves the Queen City and has interest in Real Estate and how Charlotte has grown. Outside the office she is a proud mother and a Seattle Seahawks fan! Born and raised in Northern Virginia, Ashley attended Roanoke College and began her career with HHHunt in 2009. In her spare time, she loves the outdoors, concerts, watching sports and fostering dogs. Ashley also enjoys spending time with her family and her two Boxers. Ekene is originally from Wake Forest, NC and attended East Carolina University where she earned her Masters degree in Education. Ekene moved to Charlotte in August 2017 and joined the Abberly Woods Team. In her free time, she enjoys exploring the city, meeting new people and spending time with loved ones. ‘Miss V’, as she is best known by everyone at Abberly Woods, is originally from Jersey City, NJ and joined the HHHunt family in 2009. She spends most of her free time with her family and her beloved dog, Face, a large pit bull with a two-toned face. In her spare time, she enjoys reading, listening to music and singing. Ronnie is a native of Charlotte, NC. 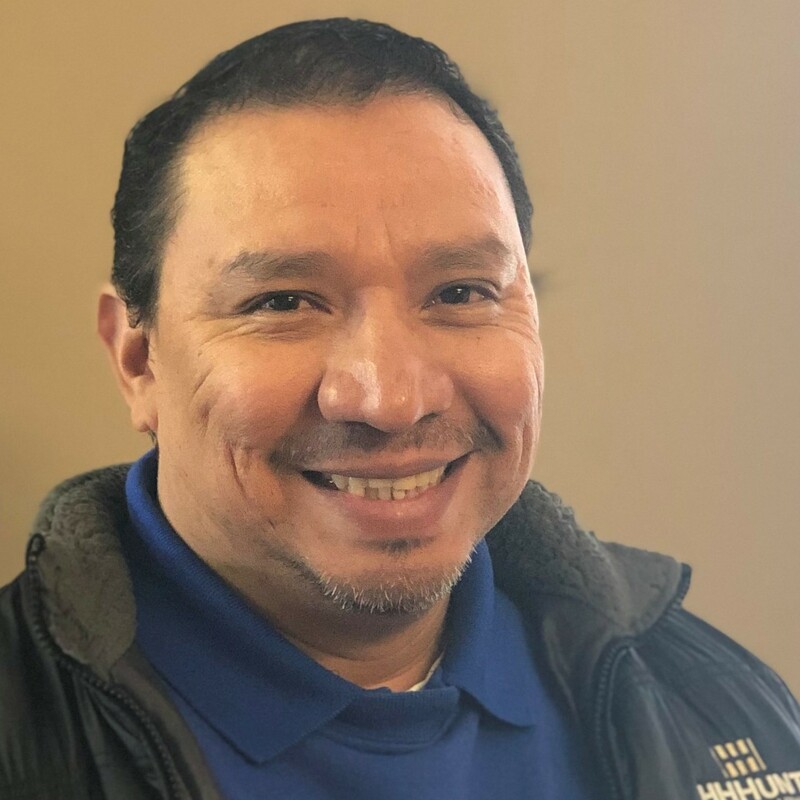 He joined the HHHunt family in 2017, bringing with him years of industry experience. In his spare time, Ronnie enjoys riding his motorcycle, fishing, boating and water sports! Prior to starting his career in the apartment industry with Abberly Woods in 2018, Dale worked as a sign installer. He is a veteran of the United States Army and served in Iraq. Dale is married and is the proud father of two boys. In his free time, he enjoys hunting, going to the gun range, and cooking. German was born in El Salvador and raised in New York City. He is a huge New York Giants fan, even though he has lived in Charlotte for 13 years and has adopted the Panthers as his second NFL team. He has been in Property Management for 4 years and before this, he worked in the construction industry. In his spare time, German loves watching action hero movies, specifically the new Marvel and DC Comic movies. Originally from Honduras, Roberto has lived in Charlotte, since 2004. He joined the Abberly Woods team in 2016 and loves working with our team. In his spare time, he loves fishing, playing soccer and spending quality time with his daughter.